• Ship to France with DPD. France may just be across the English Channel, but that doesn’t mean you should settle for any less than the best for your delivery needs. Wherever it is you’re sending to in France – be it the pleasant promenades of Paris or the rural vistas in the sunny South – DPD can get it there with speed and with care. That’s why we’re trusted by millions of senders throughout Europe. France is a member of the European Union, which means there’s no need to worry about filling out customs documentation when sending there from Ireland. Simply tell us what it is you’re sending and we’ll do the rest. 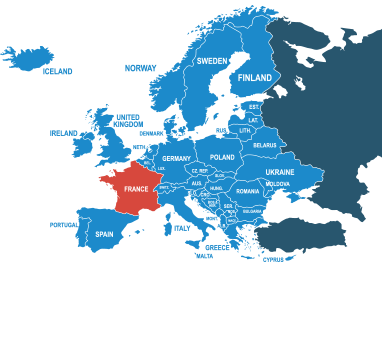 By booking your delivery to France with dpd, you’re getting access to a premium courier service at a price everyone can get behind. Book your consignment today and you’ll be able to send from as little as £17.58. For more information, you should refer to our prohibited items page.